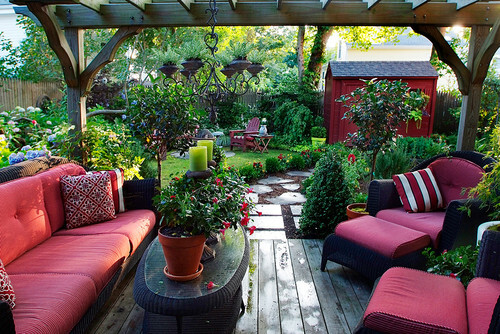 I am a big fan of outdoor living. 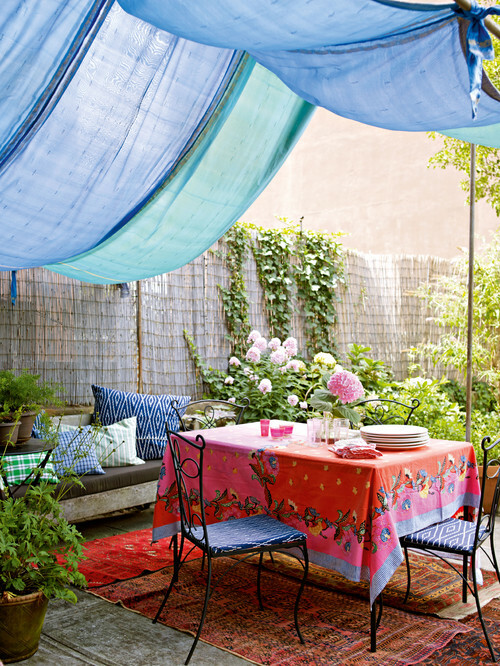 I feel more inspired to create an outdoor room rather than designing the interiors of my house. There's something in outdoors that inspires me. I just love the idea of having a good view of a garden with a water feature, getting a fresh air while sitting in a comfy chair or bench, having some coffee and chatting with friends or family. To me, that is a kind of happiness like no other! 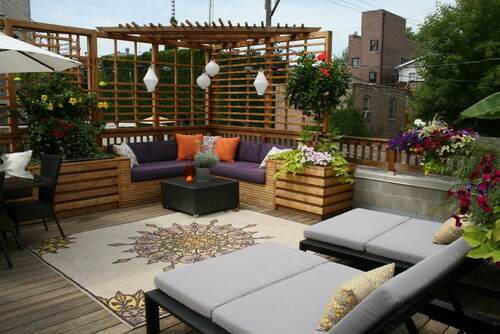 Take a look at the following outdoor designs. I'm sure you will find something that could fit your fancies and style. :) I so love the vibrant colors!